Since the year 2000, the annual Brands Lecture, delivered by leading figures in their field, has been a popular event in our members’ year. 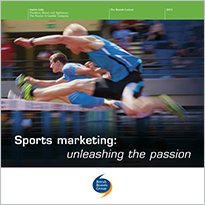 Each lecturer has focused on a different aspect of branding or its effects. The following gives a taste of each lecture but you can read the full version by clicking on the links to download transcripts of the event. 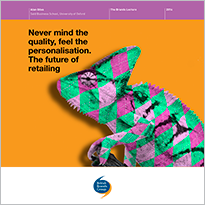 Alan looked at the structural changes taking place in retail around the world, the rise of pureplay online competitors, the strategic responses from traditional retailers, innovations in the sector and some thoughts on the future. The lecture is rich in thinking and data and gives brand owners valuable insights into what they should consider as they plan both their offer and their routes to the consumer in order to be competitive over the coming years. In his lecture, Paddy defines a few terms like ‘brand equity’ and the ‘marketing concept’ before moving on to discuss how brands and marketing relate to the three dimensions of the CEO’s world: strategy and execution, finance and organisation. or a new pyramid of conflict? Rory’s central premise is that marketing needs a new vocabulary if it is to be taken seriously within companies, likening its current vocabulary to that of flower arranging or astrology to outsiders. The vocabulary he proposes covers such concepts as signalling, loss aversion, information asymmetry, maximising and satisficing, heuristics, relativity, path dependency, complementarity and framing. In making the case for this new language, Rory gives us intriguing insights into human behaviour, how we understand value and why we make the choices we do. In the process, he takes us to a new level of understanding of how branding works. Fiona talked about the emotional connectivity that brand companies strive to create with consumers and how important it is to remain relevant. When it comes to growing the brand and being competitive, innovation is crucial but it is also incredibly risky. Fiona outlined areas where there may be scope for innovation and how the prospects for success may be enhanced. Brands have existed throughout our human history. Symbols, crests, Coats of Arms are all brands that have stood for something in which we believe and have faith. 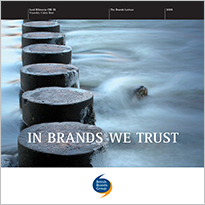 A brand promises trust, respect and consistency. In essence a brand is what a brand does. In this lecture, Lord Bilimoria presented the challenges of creating a trusted and respected brand in a fiercely competitive market, talking about the obstacles facing a start up business and how he positioned and communicated the brand to break through. 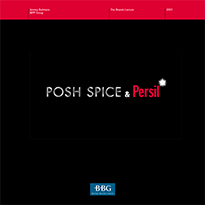 He paid particular attention to the challenge of trying to control and change the perception of a brand as it grew. But brand perception is not unique to business. Politicians and countries are also brands and are equally susceptible to change and renewal. Brand ‘Obama’ provides a powerful example of linking branding to leadership, and also the most emphatic example of successful branding in the internet age. Richard has a vision of companies behaving in a socially responsible way while being financially strong and successful at the same time. Clearly passionate about his subject, in his Lecture he takes a critical look at business and the unintended consequences of capitalism, in terms of climate change, obesity and poverty for example. However he sees capitalism also as the solution to these problems. Business is uniquely placed to make a difference and he argues forcefully that companies can be financially successful and do good too. He calls on business to be about money and one other thing – that “other thing” being something that makes the world a better, safer place. This is Capitalism 2.0. 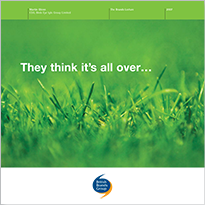 There is a diminishing belief that brand management can lead an organisation as it could in the past. Martin Glenn in his Brands Lecture identifies five negative forces that are destroying the confidence of marketers and weakening the authority of brand management, ranging from the squeeze on margins to ever closer public scrutiny of the way companies do business. So what can be done to restore self-confidence and for brand management to reassert its role in delivering results for an organisation? 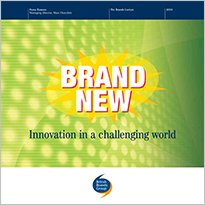 Martin calls for a re-launch of brand management and proposes five functional improvements to transform its role. How do you create closer relationships with your customers? Kevin Roberts, Worldwide CEO of Saatchi & Saatchi, describes the journey from products to trade marks, trade marks to brands, and now from brands to Lovemarks. These are the products that consumers don’t just like or admire, but love, thanks to the creation of enduring emotional connections. 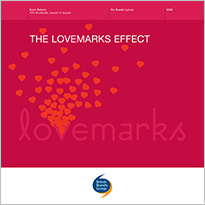 So what’s the secret behind lovemarks? Kevin presents nine ideas for transforming a brand into that elusive creation, arguing that the more companies can inspire love, the greater the rewards. 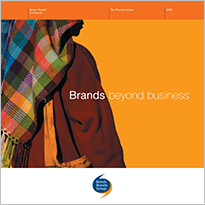 What role can a brand play in emerging economies? This is the theme explored by Simon Anholt of Earthspeak in his lecture, given in May 2005. 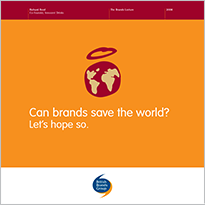 He looks to the vast economic value of brands and debates why developing countries don’t do branding too. 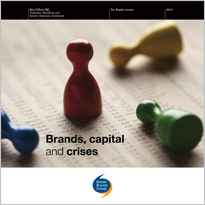 Branding, Simon argues, is the crown jewels of capitalism that, up until now, we have clasped tightly to ourselves. Perhaps it would do us all good to share a little around? This lecture, given in May 2004 by David Aaker, Vice Chairman of Prophet and Professor Emeritus, Haas School of Business, provides strong insights into the effective management of a portfolio of brands. David argues that, while the concept of brand portfolio management has been around for some time, few companies do it really well and many don’t do it at all. 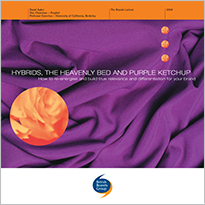 He describes how to bring clarity, leverage, energy, differentiation and relevance to a portfolio, illustrating his points with a number of case studies. 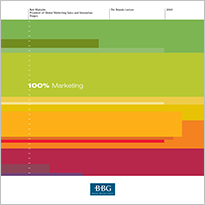 This lecture, given in June 2003 by Rob Malcolm, President of Global Marketing, Sales and Innovation at Diageo, provides practical advice on how to build the reputation of marketing within organisations. Taking Lord Leverhulme’s famous quote as his theme (“Half of what I spend is wasted. 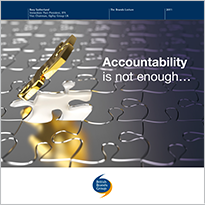 The trouble is, I just don’t know which half”), Rob provides suggestions on how to gain company buy-in to marketing, build marketing professionalism and establish accountability. It’s all about moving from 50% to 100% marketing. The second Brands Lecture, given by Jeremy Bullmore of WPP Group in December 2001, looked at the forces that create brands in people’s minds. He uses the analogy of birds building nests with scraps and straws. The trouble is, not all of the “scraps and straws” that build brands are under the control of the company. 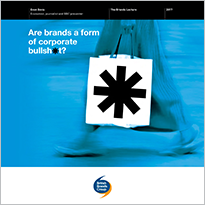 This is essential and entertaining reading for anyone seeking to understand brands. 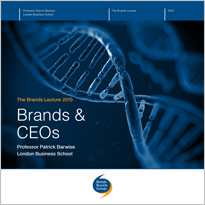 The inaugural brands lecture was given by Tim Ambler of the London Business School. From explaining what brands are to describing their consumer, business and economic value, Tim provides the essential primer on branding. 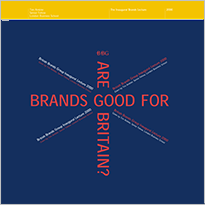 He analyses the UK’s record of brand building, suggesting a number of ways in which we could become better. 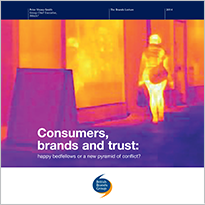 For anyone wishing an overview of brands and their importance, this is the place to start.